Offspring outcomes are a function of maternal genetics operating on the intrauterine and postnatal environment, offspring genetics and environmental factors. 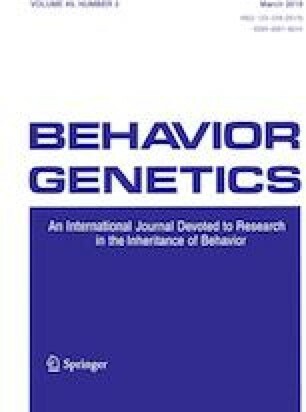 Partitioning genetic effects into maternal and offspring components requires genotyped mother–offspring pairs or genotyped individuals with phenotypic information on themselves and their offspring. We performed asymptotic power calculations and data simulations to estimate power to detect maternal and offspring genetic effects under a range of different study designs and models. We also developed the “Maternal and offspring Genetic effects Power Calculator” (M-GPC), an online utility which allows users to estimate the power to detect maternal and offspring genetic effects in their own studies. We find that approximately 50,000 genotyped mother–offspring pairs will be required to detect realistically sized maternal or offspring genetic effects (> 0.1% variance explained) with appreciable power (power > 90%, α = 5 × 10−8, two degree of freedom test), whereas greater than 10,000 pairs will be required to determine whether known genetic loci have maternal and/or offspring genetic effects (power > 78%, α = 0.05). The structural equation modelling framework espoused in this manuscript provides a natural method of combining different data structures including those present in large scale biobanks in order to maximize power to detect maternal and offspring genetic effects. We conclude that the sample sizes required to detect maternal or offspring genetic effects that explain realistic proportions of the trait variance with appreciable power are achievable and within the range of current research consortia. Nicole M Warrington and David M Evans joint senior authors. The online version of this article ( https://doi.org/10.1007/s10519-018-9944-9) contains supplementary material, which is available to authorized users. GHM, NMW and DME designed the research; GHM conducted the research and analysed data; GH assisted with implementation of the R shiny app. GHM and DME wrote the paper. All authors read and approved the final manuscript. This article did not receive any specific grant from any funding agency in the public, commercial or not-for-profit sector. GHM has a PhD grant from the South-Eastern Norway Regional Health Authority (Grant Number 2015008). NMW is supported by a National Health and Medical Research Council Early Career Fellowship (Grant Number APP1104818). DME is supported by an NHMRC Senior Research Fellowship (1137714). Gunn-Helen Moen, Gibran Hemani, Nicole M. Warrington, David M. Evans declare that they have no conflict of interest.